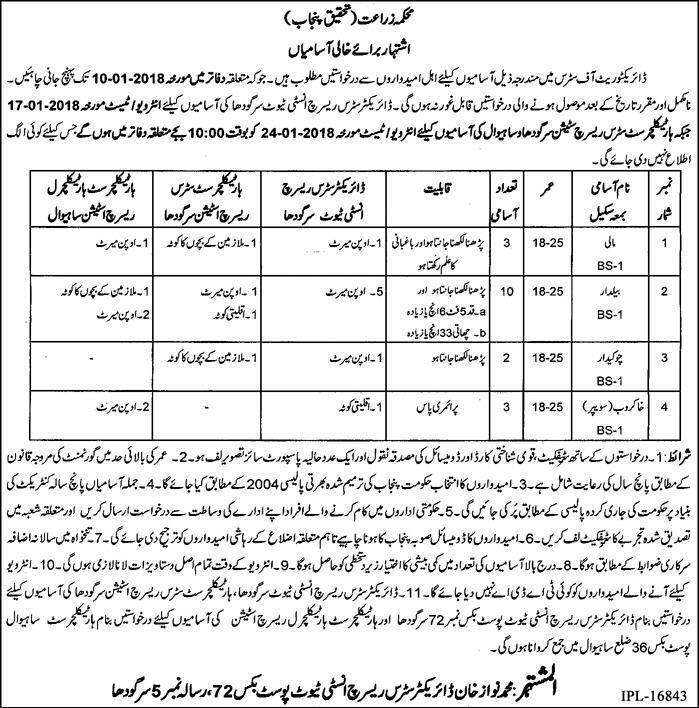 Agriculture Citrus Research Station has announced latest government jobs in Pakistan of Mali (BPS-01), Baildar (BPS-01), Chowkidar (BPS-01) and Sweeper (BPS-01) in Sargodha Sahiwal vacancies are coming in Express Newspaper Agriculture Department Jobs 20th December 2017. Anybody can apply for these total 18 posts online registration in this page. The candidates you can know the last date of applying 10/01/2018 here.